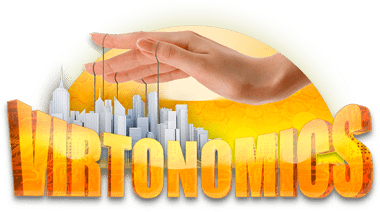 Virtonomics is the best strategy of social and economic development, a economy simulator with all the surrounding aspects: a well-developed economy, analytics, development of the communication environment, etc. This multifaceted platform gives a wide range of possibilities. You can become a monopolist in any of the markets, establish a profitable and efficient working platform, you can simply seek to earn as much money and learn to communicate with partners and competitors. The main goal is to build and develop a successful business, and everything else depends on your preferences. The game is as close as possible to reality, here you have to contact with competitors, to seek and communicate with partners, to win sales, in general to develop your business in all possible ways. Virtonomics offers almost all areas of business, there are more than 200 kinds of products. You can get shops, farms, car factories, oil wells and many other objects around which you can build a prosperous business. By and large this is a management strategy, where you have to take in your hands the selection of qualified personnel, improving the quality of goods, setting up supply channels and marketing of finished products, controlling the actions of competitors and much more. This is a whole virtual world with the real laws of the economy. The beginning for all players is the same – every starting businessman gets the starting capital for the development of his business. And how to dispose of it, everyone chooses himself. You can buy a ready-made option and build a strategy for its development, and you can create it from scratch and realize your own dream. At the same time Virtonomics is free. For real money, if you want, you can buy only additional options in the game. And so, to receive important skills of entrepreneurship, management, study business terminology and learn how to work with reports in Virtonomics is absolutely free. This is an excellent training platform, giving good results. At the same time, the knowledge gained will also help in real business. The game allows you to fully immerse yourself in the world of economics. It is suitable both for advanced businessmen who want to try out new strategies and ideas, and for beginners in this field. 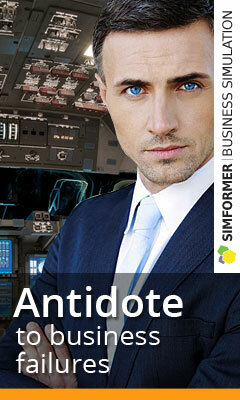 Now you can play economic games, gaining valuable knowledge and experience for free, and also honing your skills.